Meizu 16X Launch to Clash with Xiaomi Mi 8 Youth Edition on September 19 - Playfuldroid! Xiaomi has recently confirmed that it will be holding an unveil event on Sept. 19 to announce the Mi 8 Youth Edition. Through the official WeChat account, Meizu has officially confirmed that it will be holding a press event on Sept. 19 to unveil the Meizu 16X. Both the phones are expected to arrive with upper mid-range specs and may carry similar pricing. Meizu CEO Jack Wong had already confirmed around the launch of Meizu 16 and Meizu 16 Plus flagship phones in the previous month that the company will be debuting the Meizu 16X phone powered by Snapdragon 710 in September. 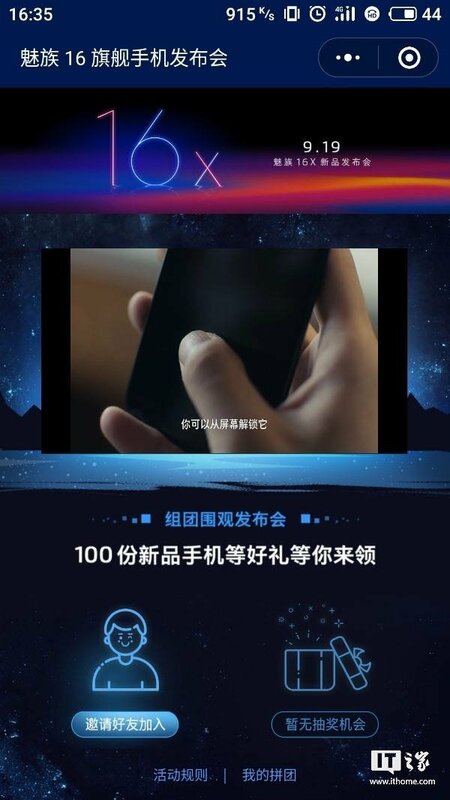 However, the official confirmation on Sept. 19 launch event for Meizu 16X has surfaced today. The handset is expected to feature S-AMOLED display along with in-screen fingerprint reader. The SoC will be coupled with 8 GB of RAM and it may feature 128 GB of native storage. The handset is expected to house a 3,100mAh battery. As far as Xiaomi Mi 8 Youth edition is concerned, it is rumored to arrive with 6.26-inch IPS LCD screen, Snapdragon 710 SoC, up to 6 GB of RAM, up to 128 GB of inbuilt storage, 24-megapixel front-facing camera, dual 12-megapixel AI camera and 3,250mAh battery.